An occlusion problem is a risk factor that causes a great number of underlying issues. 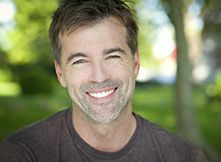 I am going to share two clinical cases that prove for these patients (and others like them) that occlusion is everything. A 40-year-old female entered my practice for a TMJ consultation with a chief complaint of jaw pain/ache in her right jaw. She was experiencing multiple severe migraines a week. She had a history of wisdom teeth extractions, a root canal on tooth No. 2, and two new crowns since the root canal was completed. The patient was also receiving monthly steroid TMJ injections. She could only open a maximum of 26 mm. Checking the occlusion was the first step. This revealed the patient had an end-to-end bite on the right side, slight Class 2. 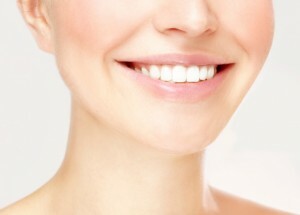 The patient’s initial bite only occluded on the right side, but then she would slide her teeth forward and to the left to create contact on her left side. Previous dentists missed the underlying issue. They recommended wisdom teeth extraction and root canals. Her last dentist told her it was the PFM that was causing the problem, so she completed a full porcelain crown. We completed a CBCT image of her condyles. 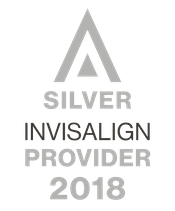 The patient completed comprehensive Invisalign treatment to correct the Class 2 occlusion on the left side. 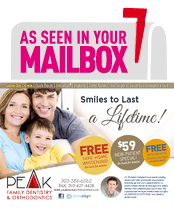 After the first six months of Invisalign treatment, the patient can now open a maximum of 46 mm. She does not experience migraine headaches and does not get a steroid injections anymore. The patient is very happy and healthy again. It was all in the bite! A 40-year-old female entered my practice with no chief complaint. She flossed daily and had great oral hygiene. She casually mentioned that she had sensitivity on two teeth in the front (maxillary canines), and she had always had sensitivity. She had been told by all previous dentists that she brushed too hard and there was nothing she could do about her sensitivity. My first thought was to check the occlusion. The patient had no history of orthodontics. 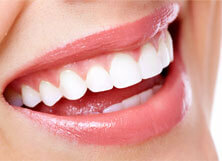 She had beautiful, straight, aligned teeth with great interproximal contacts and Class 1 occlusion. After checking the occlusion, she was only occluding on her canines, which were the teeth causing sensitivity. 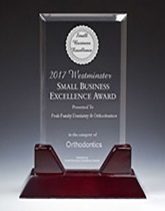 I discussed my findings with the patient and explained treatment options of comprehensive orthodontics or an occlusal equilibration. I explained to the patient that she could not be brushing two teeth harder than the rest of her teeth to cause sensitivity. Occlusal equilibration was completed on this patient and it was a complete success. Follow up appointments assured proper occlusion. The patient was freed of sensitivity, and she told me how happy she was and how it changed her life. It is all in the bite! Changing the thought process on how you see patients and their teeth will make you a better clinician—not just a dentist. 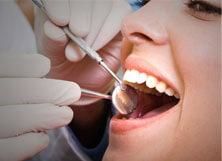 Checking your patients bite and fixing the underlying issues will guarantee these patients visit you for life. Next time a patient comes in your office with sensitivity or abfraction lesions or tooth wear, do not do the patient a disservice of completing Class V composite lesions or giving a patient a night guard. Look at the patients comprehensively and look at their occlusion.